The San Diego Reader is continuing its search to find the best taco in Southern California, and on Sunday, September 3 during Labor Day Weekend, over 40 top eateries from America's Finest City, Tijuana & Los Angeles will compete for bragging rights at Del Mar Racetrack at the 2nd annual Tacotopia at the Track. There is also a free concert by Steve Aoki following the event! We're giving away 2 VIP tickets to this event and also offering promo code SDVILLE for $5 savings on any ticket type (limited to only 100 tickets). Read on for all the details and be sure to enter. 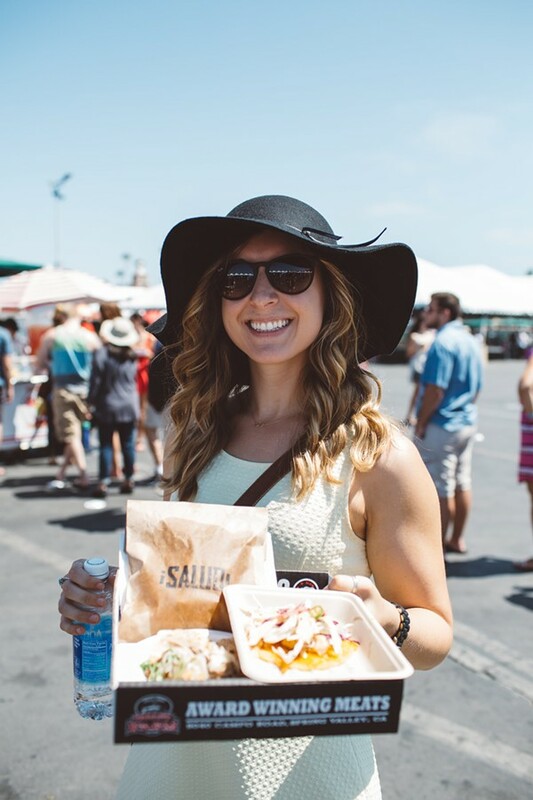 Participating eateries serving tacos at Tacotopia at the Track include Aqui es Texcoco, Corazon de Torta, Frida's Cocina, Get Fluffed Up, Salud, Mascarpone Cheesecake, Smoke N Aces BBQ, Tako Bar SD, The Chrori Man and many, many more. At Tacotopia at the Track, after you eat your weight in tacos and bask in the San Diego sunshine, there will be a live concert from Steve Aoki (for those 18 and over) which is included with admission! There will also be a full cash bar serving beer, wine and cocktails. Tickets to Tacotopia at the Track are currently only $40 if purchased online in advance and provide entry to the track and unlimited tacos. VIP tickets are currently $50 and include an extra early hour of taco deliciousness (starting at 12pm). Promo code SDVILLE saves $5 per ticket, limited to only 100 tickets, so act fast. Admission for this event is open to all ages and no pets are allowed. Children age 2 and under get in for free, and children's tickets are available for those ages 3-10 (must be accompanied by an adult). Ticket holders are asked to bring a hard copy of their Tacotopia at the Track ticket to The Reader booth at will-call, located near the Run Admission Gates (look for signage), in order to receive their wristband and an entry ticket to the racetrack. Get your tickets to Tacotopia at the Track before they sell out. 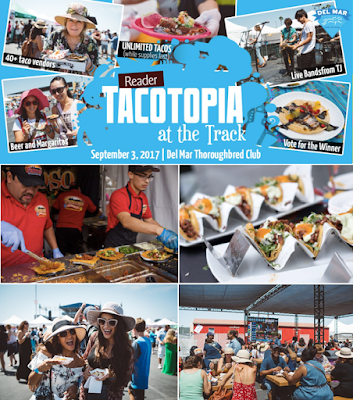 For more info and to scoop your passes, visit sandiegoreaderevents.com/tacotopia-at-the-track-2017.